Supporting the propagation of the Buddhadharma and the training of lay and monastic Dharma teachers. It also is dedicated to preserving and developing the Vietnamese Buddhist cultural heritage. Phap Nguyen Buddhist Congregation was founded in July 2009: Its goal is to provide a caring, spiritual and non-dogmatic environment for seekers of the Buddhist path. By studying and practicing Buddhism in our daily lives, we wish to awaken our true nature or Buddha-nature in order to save ourselves and all sentient beings from suffering, and transform our world into an enlightened society. The temple’s mission is to support the propagation of the Buddhadharma and the training of lay and monastic Dharma teachers. It also is dedicated to preserving and developing the Vietnamese Buddhist cultural heritage. 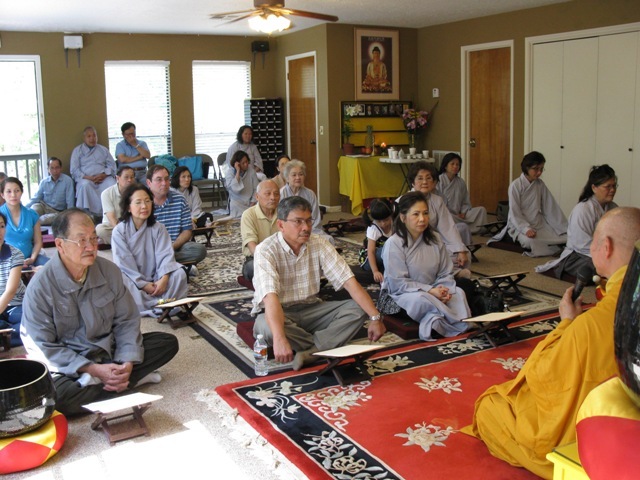 Phap Nguyen Buddhist Congregation is a non-denominational community that follows various Buddhist traditions and is open to people from all walks of life and faith. We find inspiration in any sutra or scripture and hold none above any other since truth can only be experienced in our hearts and not in the letter. Wisdom and compassion are the basic themes of our spiritual community and the meditation practice of mindfulness is our fundamental tool to realize our buddha-nature and to experience the Pure Land in this very world. Our path helps us to live more forgivingly and joyfully in every moment. Our experience opens us up to the mystery and beauty of life. 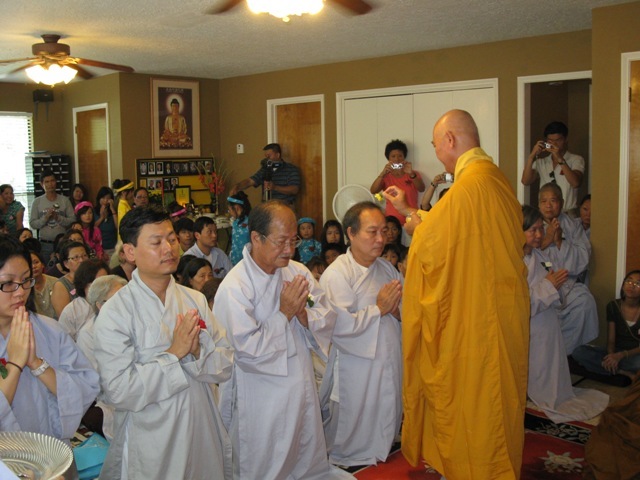 We hold our services at the Phap Nguyen Temple in Pearland, Texas under the spiritual guidance of the Vietnamese-born abbot Thich Tri Hoang. The Sangha offers a wide array of activities and learning experiences for our members and friends such as one day meditation retreats, a book discussion group, field trips, community out-reach and charity work. 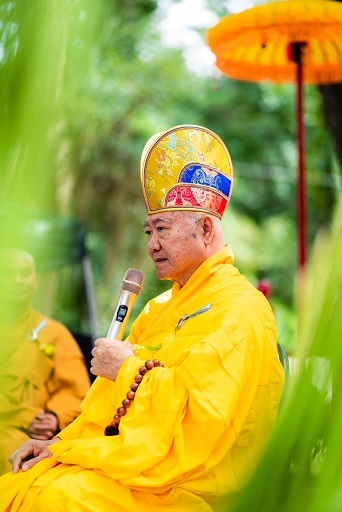 Venerable Thich Tri Hoang is founding abbot of Phap Nguyen Buddhist Congregation in Pearland, Texas. Venerable Tri Hoang became a novice Buddhist monk in Vietnam at the age of 14 and received full ordination at 24. He has studied under many Buddhist masters including Thich Tri Thu, Thich Huyen Vi, and Thich Nhat Hanh. Ven. Tri Hoang also studied Buddhism and philosophy in India, Holland, France and China. He received a Doctorandus in Sinology from Leiden University in Holland. He has led Buddhist meditation retreats in Holland, France, England, and the U.S. He speaks five languages including English, Chinese, and Vietnamese. He has organized the Dharma Class and the Dharma Teacher Order was founded in the year 2000 in the United States. © Chùa Pháp Nguyên - Dharma Spring. All rights reserved. Hỗ trợ truyền bá Phật pháp, huấn luyện Tăng và thầy dạy Pháp. Cũng góp phần vào bảo tồn truyền thống Phật giáo Việt Nam.